In the last week of May 2017, artist Janetka Platun returned to Haverfordwest for a week long visit to launch the artist booklet Searching for the Centre, created during her commission earlier in the year. In both English and Welsh versions the booklet is available from the Lab and as downloadable version here here. Increase understanding and awareness of the role and benefits of working with an artist. Explore how artists can engage with new audiences and develop cooperative and collaborative ways of working. Reflect on how art and the artistic process offers a range of experiences that allow us to make new connections and do things differently. The workshops were a great opportunity to share the art and research process of ‘Searching for the Centre’. They reflected on how art and the artistic process offer a range of experiences that allow us to think differently and feel connected. They also opened up discussions about the merits of alternative approaches when regenerating a town. The benefits of creating teams that include different professions and represent different aspects of the town was discussed. It was generally agreed that this would allow for a less literal way of looking and developing ideas for the centre. ‘Searching for the Centre’ and the accompanying ‘Doing Things Differently’ workshops have demonstrated there are pieces of the centre missing and the public want them put back. Castle Square is seen as the undisputed nucleus but no one any longer knows why. As a statement of intent it would be valuable to develop a series of commissions that are made up of collaborative, multi disciplinary teams to imagine and design a new beating heart for the square, where intimacy, atmosphere, warmth and emotion can be experienced and shared. 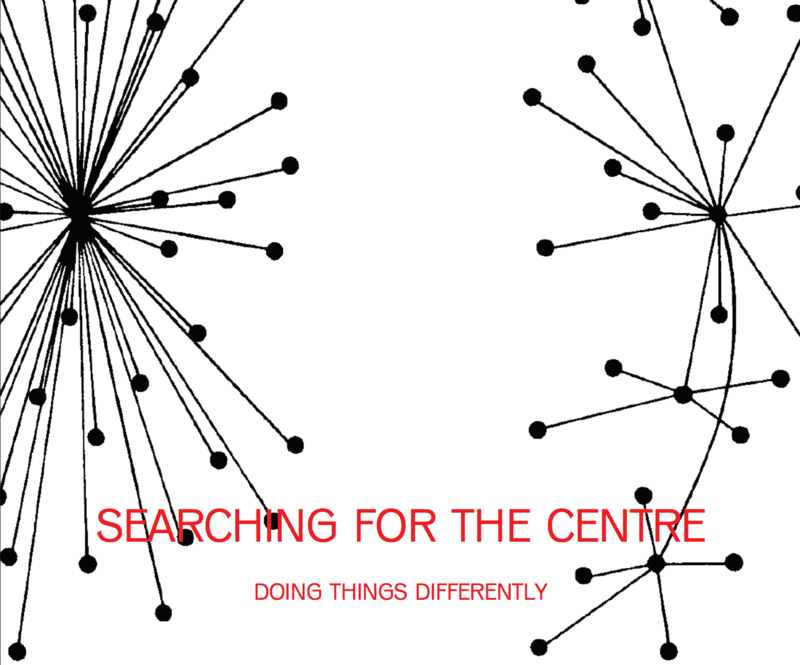 Featured image: From Doing things differently workshop flier by artist Janetka Platun.